We provide a detailed examination of current manufacturing processes and materials by understanding your current needs within your market and manufacturing requirements, and provide a strategy that will support success. Our implementation experts will assist your team with timely installation, training, testing and color management. Sublimation powder coating involves the process of applying dry powder coating to aluminum, acrylic, glass, tile and MDF product by way of electrostatically charging the powder and then spraying it onto the product and cured under heat to flow and form a “skin”. Our exclusive coating technology allows for detailed and vivid shapes and patterns. Powder coating is simple to clean. Powder coating is a durable, high grade powder coating process resulting in a finished product that withstands harsh environmental conditions. These include extreme UV exposure, salt spray and heavy pollution. Mass custom personalization is an important component of online retail commerce. Increasingly, customers want products that are one-of-a kind. We can provide a wide range of outsourced digitally printed decorated products, custom packaging and blind shipping. Enable manufactures of personalized digital products to receive orders from various online retailers, and efficiently produce and ship orders under the host retailer’s branding. The Arch system streamlines and automates the process and provides a comprehensive set of order entry, production management, print management and integrated shipping capabilities that support high volume production, or mass customization of such products. Orders received via Centric MI (Manufacturing Interface) in real-time. Projection management that allows for batch printing based on product type and client criteria, and select the output device that the particular batch will be printed on. Generates the optimal layout for all products in the batch per printer. Saving the cost of print media and consumables. Job tickets print with a thumbnail image of each product, including bar codes for updating of order status. Manage QC remakes quickly via Reprint Transfers. 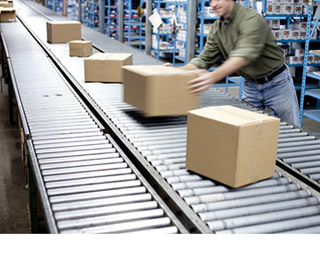 One click shipping by scanning job ticket bar code.